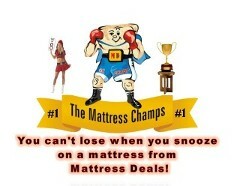 Mattress Deals guarantees the lowest everyday sales prices on our selected name-brand bedding! We are so confident of our everyday low sales prices that if you find a lower price for the same mattress set purchased from us in the same retail trade area within 30 days from the date of your purchase, Mattress Deals will refund you 120% of the difference in price. To receive a price adjustment, you must have the competitor's current ad or written invoice with the make and model of the set and price, (inclusive of sales tax), clearly shown thereon. Internet sales, closeouts, special purchases, exchanges, floor samples, warranties, discontinued, As-Is, and one-of-a-kind merchandise is excluded from our everyday low sales price protection policy. 1. Buy our waterproof mattress pad to protect the mattress from stains. 2. Sleep on your new premium mattress set for a minimum of 15 days. It takes your body time to acclimate to a new sleep surface. You are coming off an old used mattress that does not offer support. Also, the new mattress will require a break in period. If after 15 days you are not comfortable with your premium mattress set, please contact customerservice@mattressdealusa.com. We will issue you an in-store credit towards the original set purchased, minus a handling fee, (see below for fee definition), depending on size. The handling fee covers transportation and disposal costs to the manufacturer. Handling fees are as follows: Twin-$129 per set, Full-$149.00 per set, Queen-$179.00 per set, King-$199.00 per set. 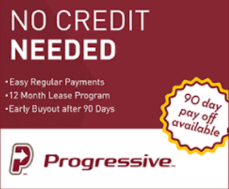 You have up to 60 days after your purchase to request a Comfort Guarantee and use your in-store credit. The in-store credit may be used to select any other premium mattress set of equal or greater retail listed ticketed sales price. If you decide to upgrade and choose a more expensive set, you will be required to pay the difference between the credit issued and the price of your new selection including handling fees, sales tax, and a delivery/pick up charge of $60.00. If you select a mattress set of lesser value than your original purchase price, there will not be any refund or credit for the difference. Any unused credit left, will be lost. We must send the delivery service to your home with your new mattress purchase to inspect your comfort guarantee mattress before exchanging the set. Upon entering the store, you must register your credit memo with the store salesperson before choosing your re-selection. Premium mattress sets being exchanged must be clean, sanitary, and in the condition received—free of stains, scuffs, tears, rips, abuse, or other damage. 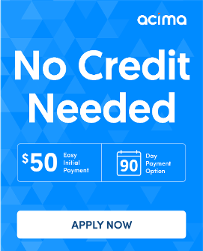 Mattress Deals' 60-day, no-hassle comfort guarantee is a one-time offer that is applied to the original purchase only and must be used within 60 days after purchase or it shall become null and void. Comfort Guarantee does not apply to electric adjustable beds, floor models, closeout items, sales, discounted items, or as-is merchandise. Mattress Deals reserves the right to determine whether the comfort guarantee is allowed on a per item basis and may deny the customer the comfort exchange based on the criteria above.